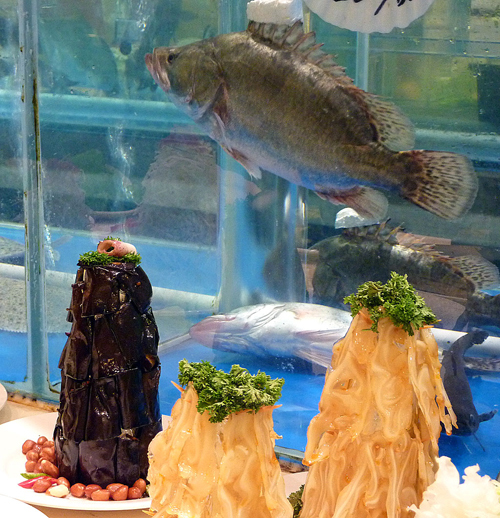 Holachina.com » Alive and Flipping:The Dalian Seafood Restaurant, Beijing. 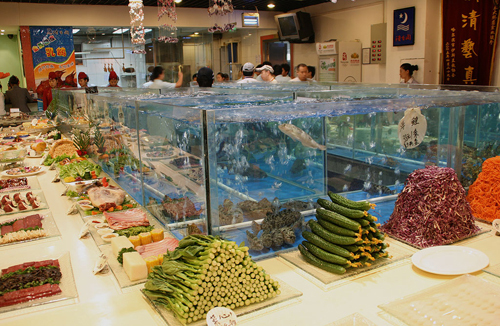 The restaurant’s centre-piece is a rectangular area of fish tanks, filled with all kinds of fish and sea creatures. 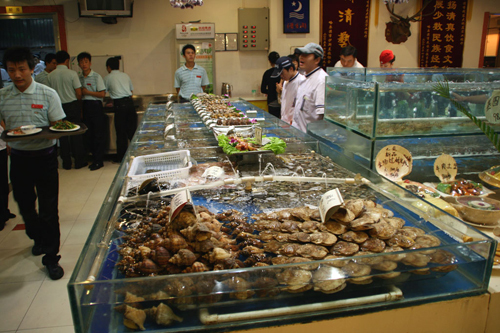 In front of the fish tanks, there are countless trays of (live) prawns, squid, scallops, crabs, clams, razor fish and other unnameable creatures, just lying around, waiting to be chosen, gobbled up and washed down with a cold beer. Colourful, mixed display plates, with different combinations of vegetables and sea food offer an even wider choice, as well as giving you an idea as to how a dish might be prepared. On your tour around these culinary delights, you will be accompanied by a waiter or waitress, ready to offer advice, suggest different cooking styles, and take note of your order. 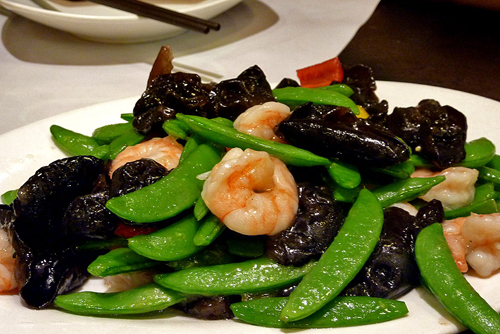 Some of the staff might try to guide you towards the expensive abalone or sea cucumbers, but don’t worry, there are plenty of tasty and inexpensive dishes to be had. 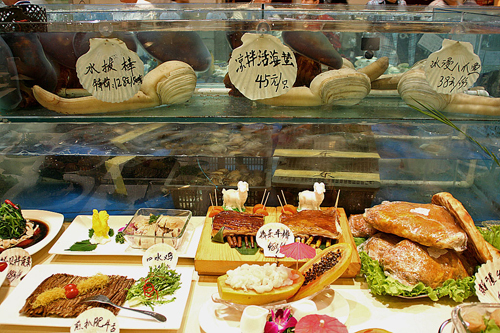 Apart from the fish tanks, there is a separate kitchen for the preparation of fresh, seafood dumplings; there is a wide range of delicious fillings available. If you are not into beer or wine, there is also a fruit bar that prepares fresh fruit juices and colourful, exotic fruit salads. Ordering food here is a difficult choice. On our way back to the table, still accompanied by our waitress, we kept seeing other tempting dishes. “What are those?” I asked, pointing to a steaming platter. “Seafood dumplings,” the waitress replied. “Liang fenr” (2 portions), David ordered immediately. Margie took a fancy to some succulent looking bamboo tips on another table. “What are those?” we enquired again. Zhusun竹笋she answered. “Lai yi fenr”, we shouted in unison! No doubt we over- ordered, but we finished it all off. 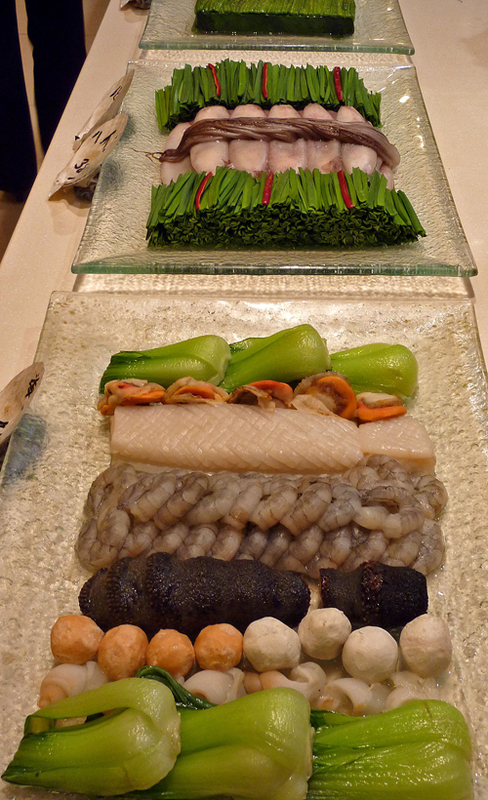 It came to a mere 350yuan for 4 people, including drinks. 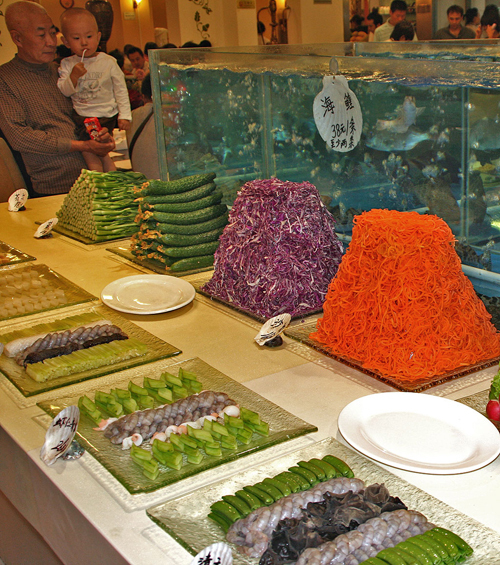 Dalian, there are so many delicious seafood and beautiful ladies. I have studied and lived in Dalian for more than two years. I like this modern city. Glad to talk to you! I’m Amanda Xiaoying, the friend of Baodi (that Chinese girl in your English class of complutense university). She recommend you to me that you are a very good English teacher 😉 I would like to know if you have free time in these days or this summer holidays for that could give me some English conversation classes.